Bring harmony to your short game. 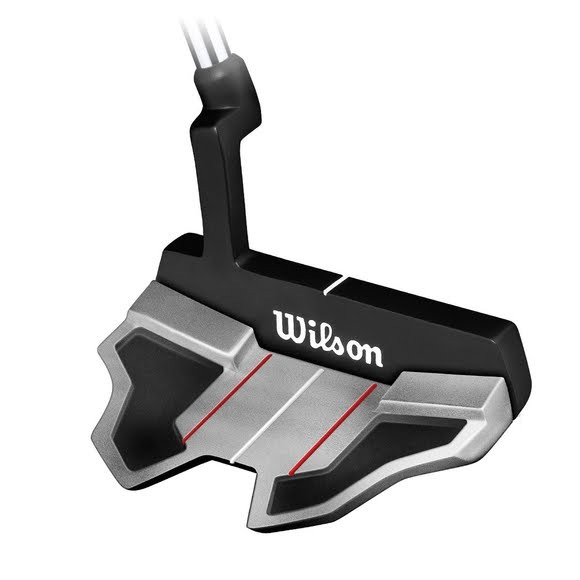 The classic styling and time tested playability of Wilson Harmonized putters make them the best choice for the mid- to high-handicapper trying to shave strokes off every round. The best selling putters in America, they provide responsive feel and precise accuracy on the green. Deep polymer insert produces a superior ball reaction off the face and produces better distance judgement and line sighting. Double milled face insures a perfectly flat putter blade for better consistency. Head shape and hosel options meet every customer preference while delivering great performance. True Temper steel iron shafts for trouble free reliability. Soft wrap putter grips for better feedback and performance. Harmonized M1 - Features a heel/toe weighting head design and a plumber hosel. Harmonized M2 - Features a semi-mallet head design and a plumber hosel. Harmonized M2 Hope - Features a semi-mallet head design and a plumber hosel. Harmonized M3 - Features a toe heavy head design and a gooseneck hosel. Harmonized M4 - Features a heel/toe weighting head design and a plumber hosel. Harmonized M5 Putter - Features a mallet head design and a plumber hosel. Harmonized Chipper - Fusion between a wedge and a putter for developing players, it works wonders for a simple bump-and-run off the fringe or a scoop out of the deep grass. Wilson has combined the Pink Ribbon of Hope with their most popular head shapes from the successful Harmonized line of putters. True Temper steel shafts and premium wrap grip. Proceeds support The Breast Cancer Research Foundation.